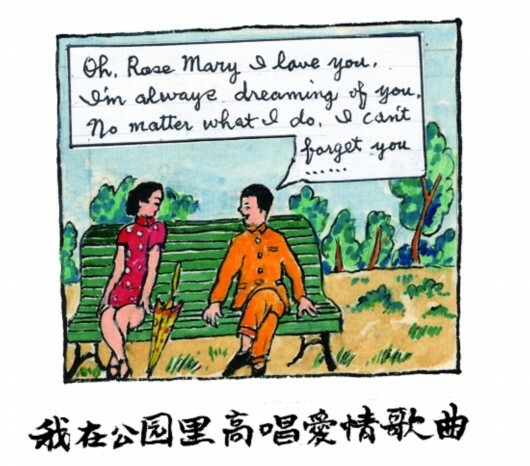 Married almost 60 years to Mao Meitang, Rao Pingru began drawing in order to communicate with his wife, sick and losing her memory, to remember the happy periods of their life together. 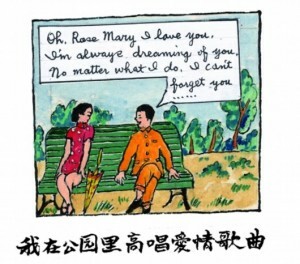 After the death of Meitang, these watercolors are a way to mourn and to raise interest of children and grandchildren to their life as a couple. Her little girl shows some drawings on Weibo; a television journalist notices them … A text follows with hundreds of drawings. A book is born in 2013 and 300,000 copies are quickly sold. Editions du Seuil in France buys the rights from a Taiwanese agent who represents the Chinese publisher and releases “Our History” several months before the English, Spanish and Italian versions that will follow … A text translated by François Dubois, already awarded with a prize of translation and who is preparing a thesis on Mo Yan at the University of Aix-Marseille supported by Noël Dutrait. Pingru and Meitang came from wealthy families and lived in southern China: Jiangxi, Hunan, Guangxi, Guizhou. The book shows us the importance of everyday life, traditions and family celebrations. The watercolors explains the lay out of the houses where they lived and the distribution of the family members between the different pavilions. Many designs relate to food, recipes and gastronomy, which is an essential part of life even during periods when the couple suffered from poverty. We remember a place that we loved by what we ate there! In 1940, the war of resistance against Japan, pushes Pingru, at 18 years, to pass the exam of the Central Military Academy (Whampoa). He succeeded and, after a long march, joins the headquarters of the Academy in Chengdu (Sichuan). In the artillery, he participated in November 1943 in the battle of Chengde against the Japanese. 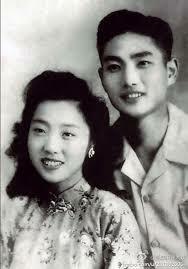 His family married him to Meitang, a great traditional wedding in August 1948 but a real love at first sight! Captain, he got permission to marry and found that “Originally, the reason for my entry into the army had been resistance to Japan, fighting against other Chinese went against my will.” P.130). After the establishment of the People’s Republic, various tasks (road maintenance agent, management of a noodle shop …) and then an accountant position for the clinic Dade in Shanghai managed by one of his uncles and which will develop as a scientific publishing firm. A happy time with small children, but the turbulences of History will catch up with him. 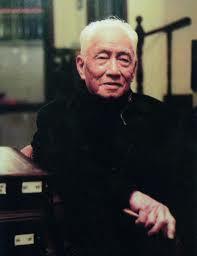 At the end of 1958, he was sent to a labor camp in Anhui, where he stayed 22 years. 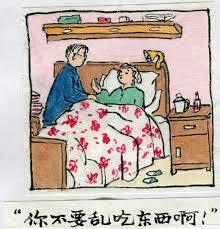 Despite the pressures, Meitang refuses to “cut the ties” with her husband whom she sees only during Chinese New Year. A long period with difficulties to feed her five children. A thousand letters will allow them to remain in contact until the rehabilitation of Pingru with his job and his salary as an editor. Several years of happiness despite two operations for Pingru and diabetes / uremia for Meitang with, since 2004, daily dialysis at home and a development of memory disorders until her death in 2008. Rao Pingru is lively, active; tai chi and calligraphy several hours a day. He learned to play the piano and now is working on future book projects. He is an optimist, proud of the life he has lived, proud of his country. We may be surprised by the absence of political comments: a single sentence informs us of his being sent to an Anhui camp (p.247), a single allusion (p.266) about his family which has “a bad class origin”. But this is neither the result of censorship or self-censorship, it is not his purpose. He tells us his love for his wife and the long life with his family. Political turbulences should not make us forget the greatness of China and the culture of its inhabitants. “Our History” is a beautiful book, supportd by a good paper, a beautiful print. Amazing watercolors, we love their variety and the colors. A text, clear, simple, on everyday life with poetic pages highlighted by watercolors. Much modesty about their relationships and their love; as he says in an interview (2) “there is nothing you can do about death, nevertheless, when you paint everything about the one you love, she will be there forever”. 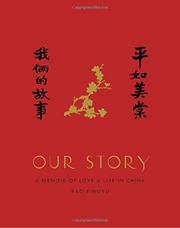 (1) Rao Pingru, “Notre Histoire”, translated from the Chinese by François Dubois. Editions du Seuil, janvier 2017 ; 360 pages, 23 Euros.